No Flap, No Cut, No Blades. Over two decades of continued innovation with an enviable track record of success along with his award-winning inventions, publications and international teachings to colleagues globally especially having consistent success with some of the most varied and complex Lasik cases from all over the world have resulted in Dr.Gulani’s new innovation: NexGen Lasik surgery. Lasik (Laser Assisted In Situ Keratomiluesis) is one of the most successful eye surgeries helping millions of patients see without glasses. Lasik surgery requires making a flap in the cornea (front clear window of the eye). Additionally, the flap can be made with a blade or a laser and in some cases using potentially harmful chemicals including alcohol. What if there was no need to make a flap and, better still, no need for a cut at all? We could then marry the safety of this technique (Corneal flap making by blade or laser is responsible for majority of Lasik complications) with the proven success of Lasik surgery. This was the seed that led Dr.Gulani to hone his skills and innovate concepts over two decades and invent instruments to introduce NexGen LASIK. 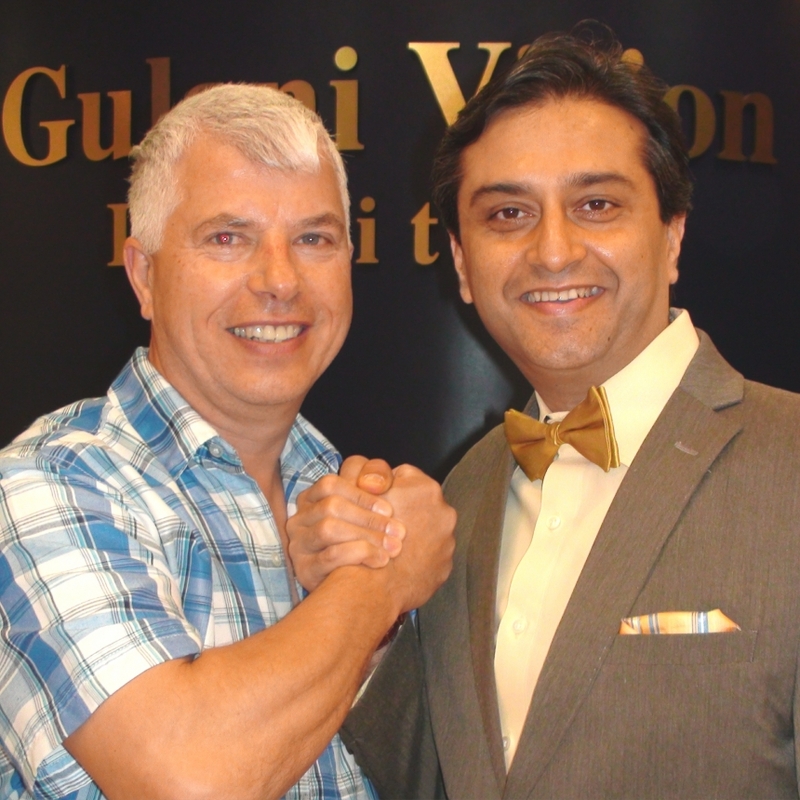 Dr.Gulani has been among the foremost in the world with Lasik surgery and the full range fo Lasik including over 16 Laser Vision Surgeries (ie. Custom Lasik, Wavefront Lasik, EpiLasik, Lasek, SBLasik, Bladeless Lasik, PRK, ASA etc), which are among 40 Vision Corrective Surgeries and combinations that he performs. 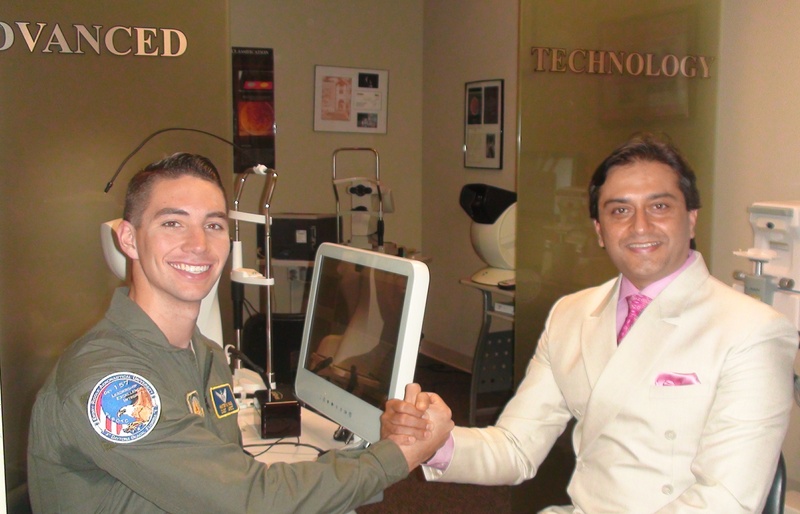 Armed with so many techniques and technologies, he follows his extensive diagnostic evaluation during his personal consultation with you following which he determines the best technique or even combinations to aim for the best vision for your individual eye. 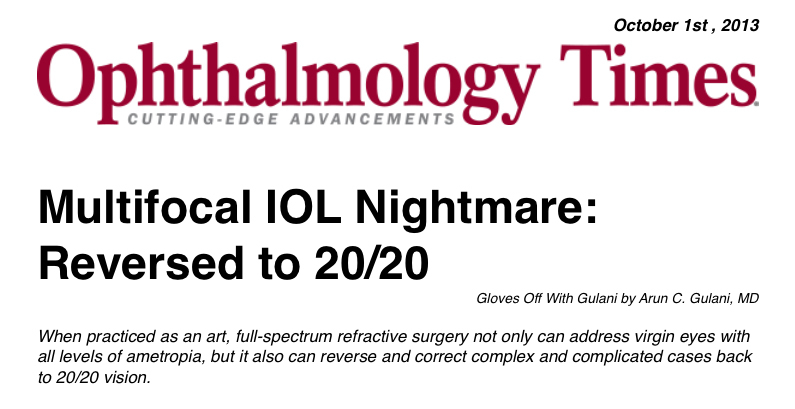 With his own vision being, 20/10 (2 lines better than 20/20), Dr. Gulani embarked on a mission to strive for this vision level beyond 20/20 in each and every patient. He also wanted to help people who were told they are “Not a Candidates” and then those who had Lasik surgery complications or inadequate outcomes. His dedicated passion and innovations over two decades has resulted in this future direction of Lasik surgery called NexGen Lasik which today can address all of those desires in helping millions of people worldwide..
NexGen Lasik can not only deliver the vision outcomes of Lasik surgery but in many cases Dr.Gulani has delivered vision beyond 20/20. Further, using NexGen Lasik, he can even correct Lasik surgery complications. NExGen Lasik is a No-cut technique that does not require making a flap in the cornea and hence does not violate the strength of the cornea. This additionally besides raising safety and comfort during surgery also avoids chances of inducing dry eyes (in fact Dr.Gulani has used this technique on dry eye patients). 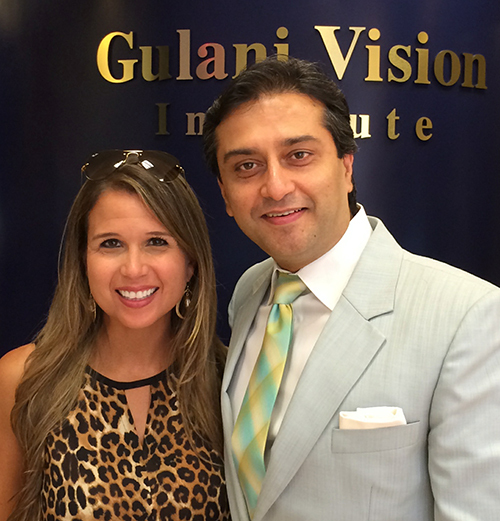 Dr.Gulani approaches each eye like a camera and designs a customized plan for each patient’s individual vision goals. He believes that the very question of “Am I a candidate doctor” is un-warranted. It arises only because most surgeons perform one or two techniques of surgery and hence try and fit the surgery to the patient (Candidacy?). Dr. Gulani believes that this approach is flawed in that it pre-decides the surgery (due to limited options and abilities of the surgeon) instead of determining what is “Best for the patient”. 1. You may have Thin Cornea, Extreme Nearsightedness, High Astigmatism, Corneal scar etc. 2. You may have had Lasik or some refractive surgery in the past. 3. 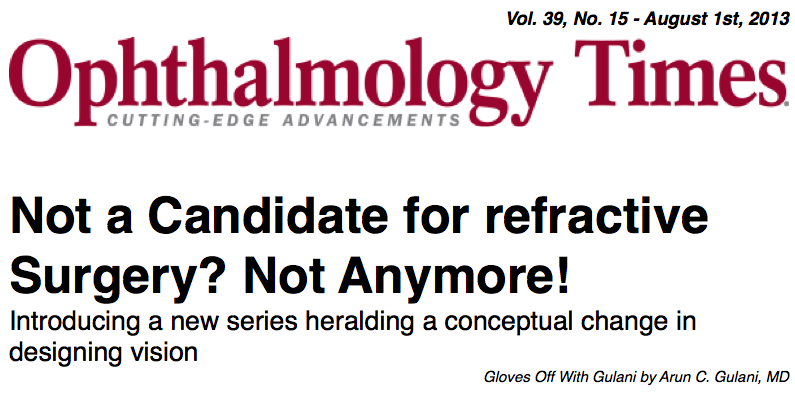 Also you may be a complication/ side effect or long term anomaly of a previous Refractive surgery. Using the sophisticated, new- generation Laser with uniquely honed protocols, custom designed ablation and frequency patterns along with modulations in measurements, treatments and healing patterns he has proved his consistent results in a wide range of patient cases from all over the world. Beyond Lasik in the range of patients it can treat and Beyond Lasik in the results that are delivered many a times beyond 20/20 along with higher safety and self-corrective advantages could very well make this the procedure to “Prepare & Repair” Lasik surgery itself.